When the Audi e-tron was first unveiled, it boasted some very impressive specs. Most importantly of all was its claimed maximum electric range of 248 miles. That best most of its competition, with the only EV SUV having a further range being the much more expensive Tesla Model X 90D. However, now it seems as if it might not have that max range after all. According to the US EPA, the Audi e-tron is actually only capable of 204 miles of max range. That’s still a lot but it’s significantly less than claimed. It’s also quite a bit less than its competitors now. The e-tron’s most direct rival, the Jaguar I-Pace, has an EPA-certified range of 234 miles. So this is actually a pretty significant blow to Audi’s first-ever electric SUV. Having said that, this new shouldn’t turn people off of the Audi e-tron. Not only does it still pack more than enough range for 90-percent of customers’ daily driving but it’s still capable of charging faster than its competitors. 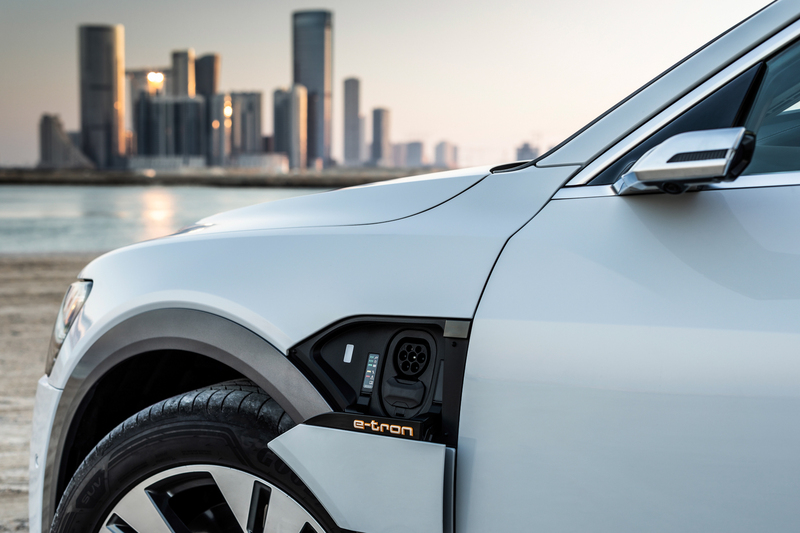 With 150 kW charging, the e-tron is the fastest charging electric SUV on the market. While 150 kW-capable chargers are very few and far between at the moment, as they become more readily available the e-tron will be the only current EV SUV to take advantage of the tech. It’s also still a very good SUV in its own right. It’s large enough to be a practical everyday SUV, as comfortable and luxurious as anyone could ask for and drives really well. It might not be as sporty as the Jaguar I-Pace or as fast as a Ludicrous Mode-Tesla but it’s an excellent daily driving SUV and a great start for Audi. So while this isn’t excellent news for Audi e-tron reservation holders, who will be getting their cars next month, fret not as it’s still a fantastic EV SUV.